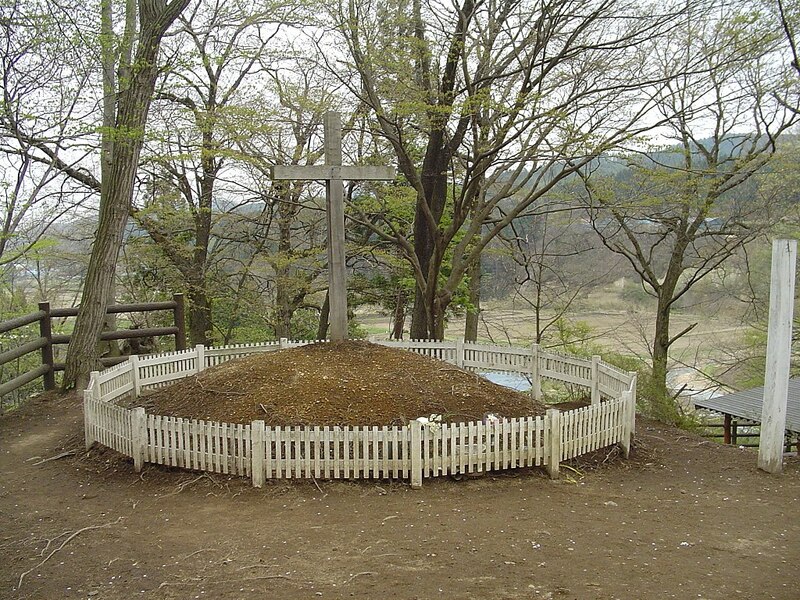 Japan is well known for a variety of sightseeing spots, but this particular one is pretty much unheard of. 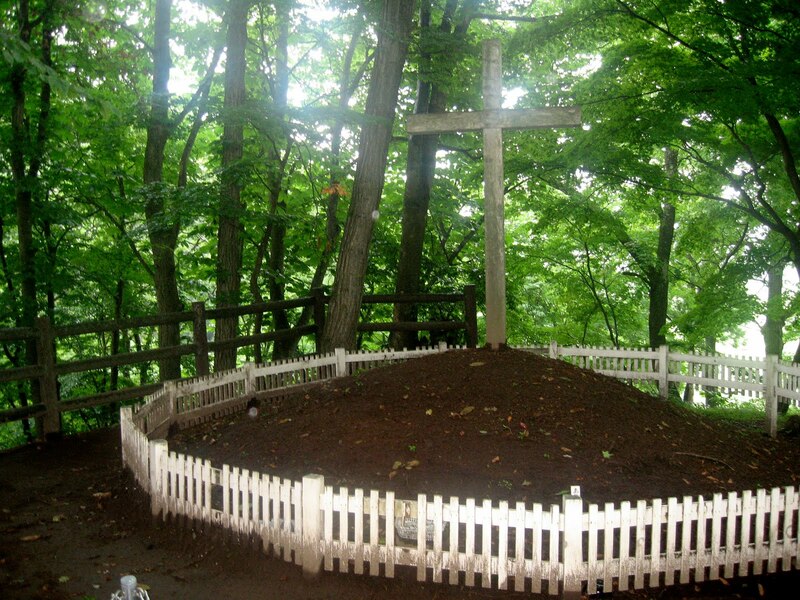 Allegedly, there is the tomb of Christ. 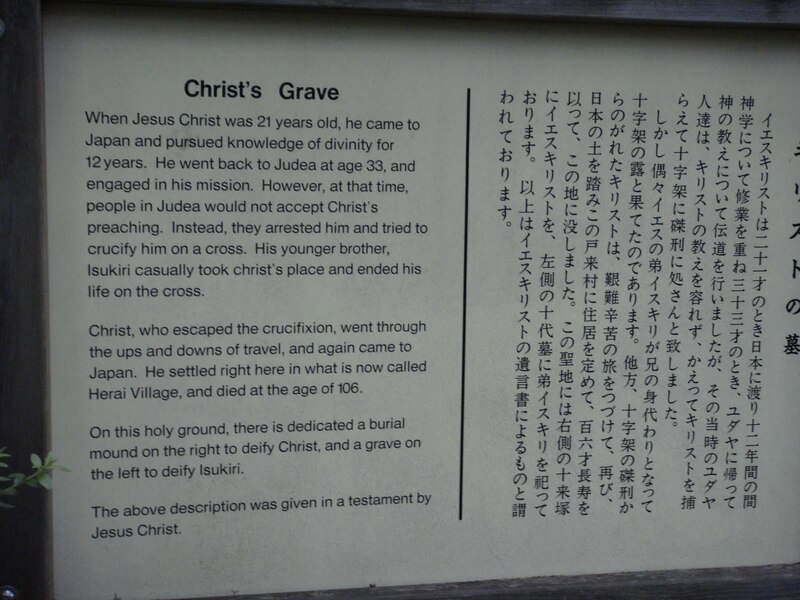 Yes, you read it right: the tomb of Jesus Christ. Surrounded by mountains and a Lake Towada, the remote village of Shingo is a beautiful place to visit. However, it is not known for its beauty, but its alleged tomb of Christ is the main attraction there. 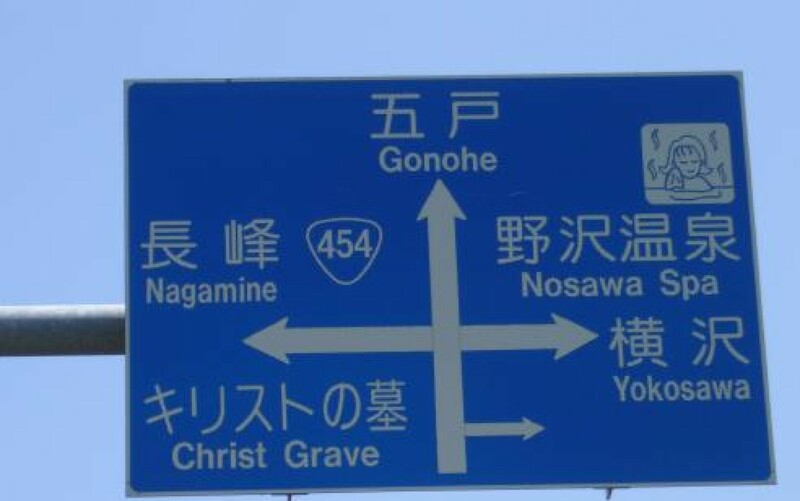 Furthermore, the village is home to not only the tomb of Christ, but also its a home of his descendants: the Sawaguchi family. Interestingly, the village was renamed Shingo in 1955, but till then it was known as Herai. It is speculated, that it is a form of the word Hebrai, which means Hebrew in Japanese. 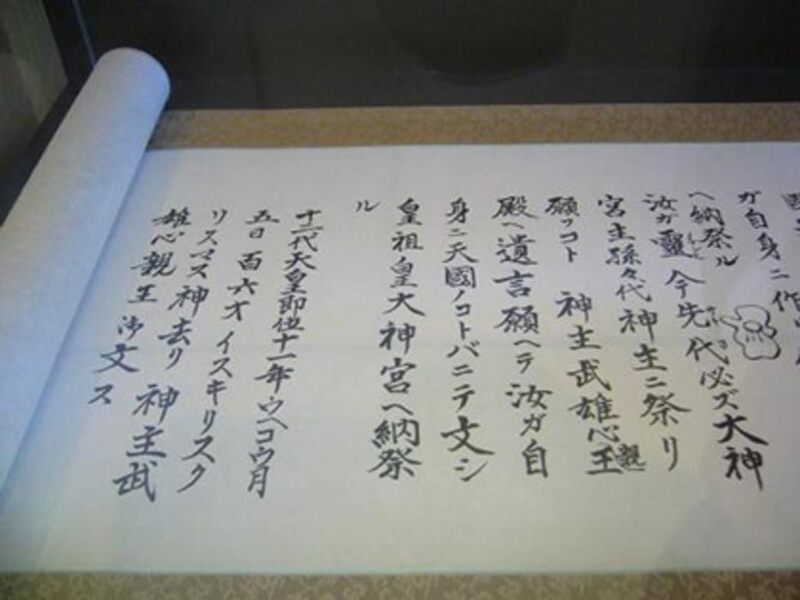 It all started, when in 1930s a young Shinto priest Takeuchi discovered documents, which were written in ancient Japanese. Later, these documents were called the Takeunochi documents and they were claimed to contain the testament about Christ’s life in Japan. The documents were confiscated by the government and were nowhere to be seen since. 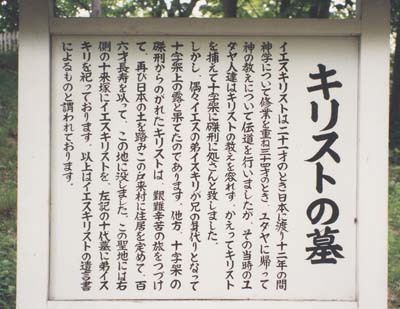 A copy of the Takenouchi document on display in the village of Shingo. 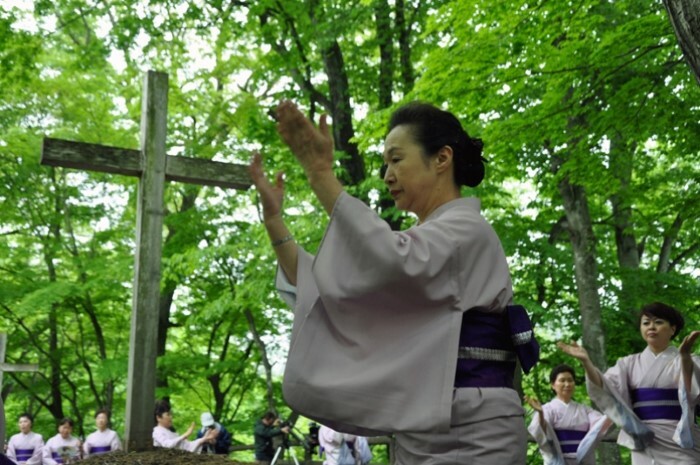 According to the legend, Jesus avoided the crucifixion, by fleeing to Japan. There, he settled: got married, had children and died at the age of 106. The legend has been engraved on a stone for visitors to see. Regardless of the credibility of the legend, the village has become an attraction for tourists and pilgrims from all over the world.